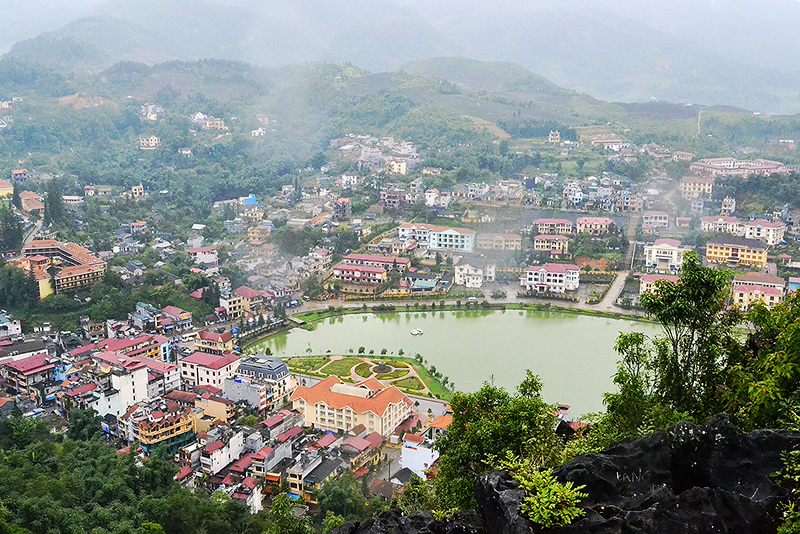 Founded in 1922 during the French colonial period, Sapa is a mountainous town in the far north of Vietnam. Located a short distance from the Chinese border, the town of Sapa is almost 5,000 feet above sea level, making it one of Vietnam’s highest settlements. Famous for its trekking, Sapa has become transformed itself over the past 20 years into one of the most popular tourism destinations in the north of Vietnam. The rugged, beautiful scenery is perfect for motorcycle adventures and guided hikes through the Vietnamese mountains. Although Sapa is a small town, its popularity with Vietnamese and international tourists means it’s home to a variety of hotels, restaurants and homestays. It’s also easy to access from Hanoi, whether by train, bus or motorcycle. 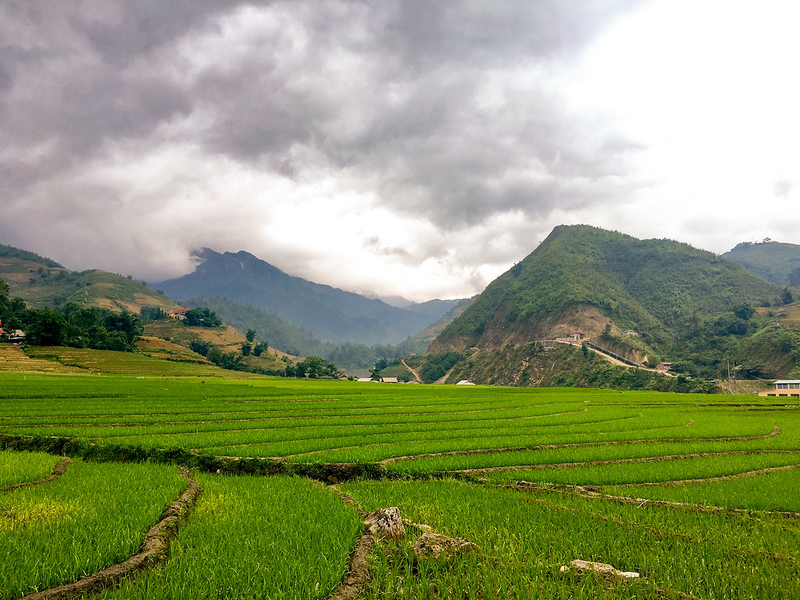 Our quick guide to Sapa covers the main areas of interest in and around the town, as well as the best things to do in Sapa. We’ve also included recommendations for the best restaurants, cafés, eateries and hotels at a variety of price points. Sapa itself is a very small town. Aside from the local market, bus station and a variety of hotels and restaurants, there’s little to do in Sapa itself. Instead, the action here is in the area around the town, which is home to several ethnic minority hill tribes and some of the most incredible scenery in Vietnam. Most of Sapa Town is located within ten minutes walk of the lake, making it an extremely easy destination to navigate on foot. Sapa’s central area is where you’ll find most of the town’s cafés and restaurants, as well as a variety of shops aimed and tourists and locals. This small museum is located a short walk west of Sapa Lake. Inside, you’ll find several exhibits on the history and culture of Sapa and a small shop selling souvenirs. There’s no fee to enter, making this a great place to spend half an hour learning about the town and area. Quang Truong Square is effectively Sapa’s centre — a small open square popular with local kids and vendors. While the square itself isn’t much of an attraction, it’s a pleasant open space and a nice place to relax before embarking on a trek or exploring the region. Another local landmark, the Holy Rosary Church is a small Catholic church constructed during the French colonial period. The church is unfortunately closed to the public most of the time, but makes for an interesting photo opportunity and a convenient meeting point. Once located right in the centre of Sapa, the new Sapa Market is located a couple of kilometres out of town. You’ll find a variety of souvenirs and local products here, including scarves, textiles, bags and other handicrafts. Sapa’s biggest attraction is its surroundings. The town itself is located in the centre of Vietnam’s most mountainous region, giving it spectacular views and amazing scenery of rice fields, rugged mountains and remote villages. Most visitors to Sapa come to the town to access its excellent trekking. 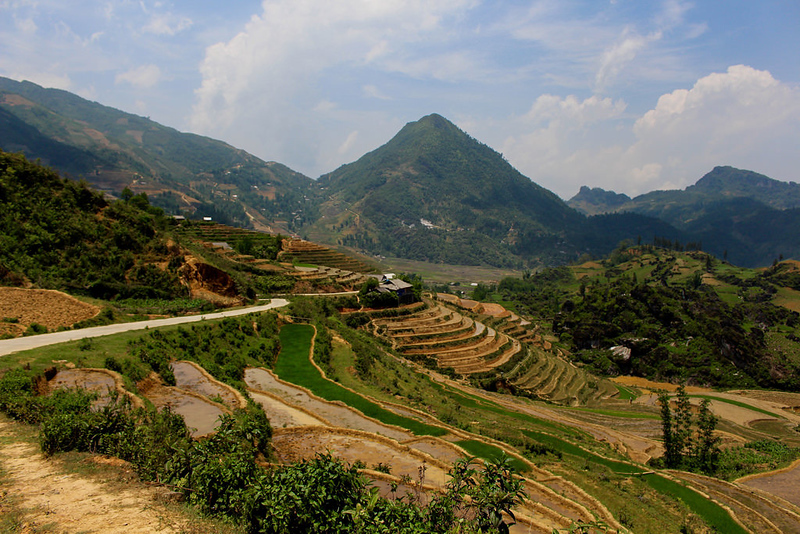 Trekking trips from Sapa usually pass through one or several H’mong, Dao, Giay, Hoa or other ethnic minority villages. In some cases, you’ll even be able to stay overnight in a remote village as part of the trek. Ethos – Spirit of the Community, which offers one and two-day treks to some of the remote villages and waterfalls around Sapa, as well as pick-up services from the train station. Sapa Sisters Private Trekking Adventures, a locally owned and operated Hmong tour agency that offers one, two or three-day treks, market tours and homestay experiences. Sapa Hmong Family Trekking Adventures, another Hmong-owned trekking business run by two local sisters. Trekking Sapa, which offers a variety of small group trekking tours, from single-day trips to four-night adventure tours. Trekking Sapa, which is listed above as a trekking tour operator, also offers mountain bike of the area. The tours follow similar routes to most mountain treks, giving you a look into the everyday lives of hill tribe members and a great view of the spectacular scenery around Sapa. There are several waterfalls around Sapa, most of which can be reached in 15 to 30 minutes by motorcycle. The best way to access the waterfalls is to rent a scooter, which offers fast and easy access to all of the main attractions around Sapa itself. Note that you’ll have to pay a small entrance fee (usually 20,000 dong or less) to access some of the waterfalls around Sapa. The Love Waterfall is one of the closest waterfalls to Sapa. Located west of the town on QL4D Road, the waterfall is just across the border in Lai Chau province. From the parking area, it’s a 10 to 15 minute walk to reach the waterfall. Also known as the Silver Line Waterfall, Thac Bac Waterfall is another easy waterfall to access from Sapa. Like the Love Waterfall, it’s located 25-30 minutes west of Sapa by motorcycle along QL4D Road. The waterfall itself is a short five minute walk from the parking area. The Aira Boutique Hotel and Spa is a small luxury hotel that offers spectacular views over the mountainous scenery of Northern Vietnam. The rooms are modern and beautifully decorated, with a luxurious feel and European-style balconies overlooking the mountain ranges. Located close to the centre of Sapa, Victoria Sapa Resort & Spa has a variety of comfortable, modern rooms and suites. The hotel’s facilities include a heated indoor pool, spa, restaurant, café, bar and more. The Freesia Hotel is a modern four star hotel located close to the centre of Sapa. Thanks to its convenient location near the lake and modest pricing, this is one of the best mid-priced options you’ll find in Sapa. Rooms range from doubles and twins to large triple bed suites. Amazing Hotel Sapa is an alpine-style hotel with a selection of rooms offering great views of the mountainous scenery surrounding the town. Facilities include a heated indoor pool with views of Sapa and a lovely outdoor dining terrace that’s perfect for taking panoramic photographs. Located in the commercial centre of Sapa, U Sapa Hotel is just steps away from nearby shops, cafés and restaurants. This modern hotel has a variety of comfortable rooms, with a tiny fitness centre, relaxing bar and coffee shop and a high quality restaurant for guests. As you’d expect from its name, Sapa Panorama Hotel offers some of the best views in the entire area. Rooms here are decorated with simple furniture and kept clean but offer little in the way of luxuries, with the exception of the spectacular mountain view. Another great option for mountain views, Sapa Elite Hotel is located a short walk from the centre of Sapa on a gentle slope overlooking the city. Panoramic views and simple, comfortable rooms make this one of the town’s best affordable accommodation options. Like the two hotels above, Sapa Unique Hotel offers simple but comfortable rooms and amazing views of Sapa and its surroundings. While the rooms are somewhat dated, this hotel’s excellent location and beautiful view make it worth the modest price you’ll pay for a room. 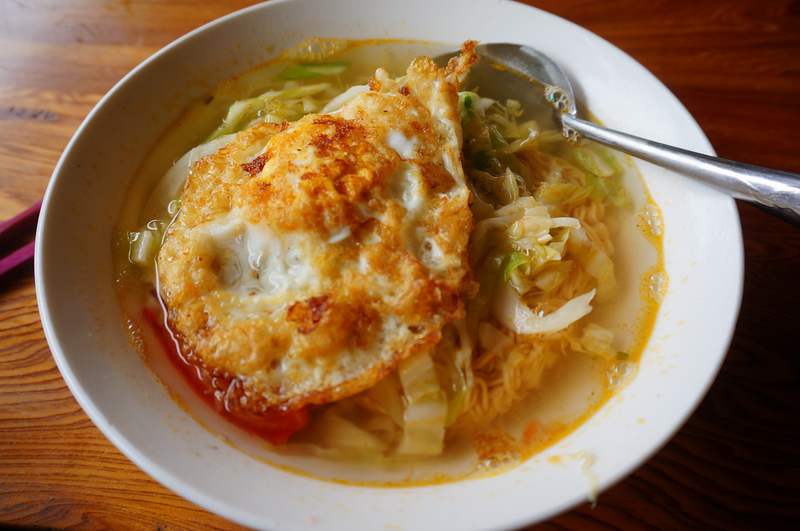 Sapa’s popularity as a tourist destination means you can find food from all over the world, often cooked to the same standards as it would be in its home country. Sapa’s incredible scenery also means you’ll find plenty of restaurants with sweeping views of the mountains. Moment Romantic Restaurant serves excellent Vietnamese and international food in a small shophouse close to the centre of Sapa. Despite its “Romantic” name, the atmosphere here is very much on the casual side. Another Vietnamese dining option, Good Morning Vietnam Restaurant serves high quality local Vietnamese dishes in a relaxing teahouse-style environment. Vegetarian, vegan and gluten-free options are available, making this a great option for people with specific food requirements. The Hill Station Signature Restaurant is both a restaurant and a cooking school, offering great Vietnamese cooking classes to visitors at very reasonable prices. The menu here provides an enhanced, gourmet take on traditional Vietnamese food, with a variety of high quality dishes. Little SaPa Restaurant serves excellent Vietnamese food, ranging from simple dishes like fried rice to a variety of vegetarian-friendly steamed and stir fried meals. An excellent place to warm up over a bowl of pho. Sapa has some of the best views in all of Vietnam, and Natureview is located in the perfect spot to make the most of them. This Vietnamese restaurant overlooks some of Sapa’s best scenery, making it a great place for a memorable lunch or dinner. Cafe in the Clouds has got to be Vietnam’s most picturesque coffee shop. With a large menu of Vietnamese dishes, freshly brewed coffee and a variety of alcoholic beverages, this café has an unforgettable view and plenty of dining and drinking choices. A great range of local beers, Vietnamese dishes and Western comfort food options make Sapa O’Chau Cafe a great choice if you need something rich and tasty. This small café also has great range of coffee options and a variety of cheap and delicious breakfast options. Sapa’s remote location and small size makes it one of Vietnam’s most challenging destinations to access. Since there’s no airport, you have three options for getting to Sapa: travelling on the train, by bus or independently by motorcycle. The most convenient airport for Sapa is Hanoi. 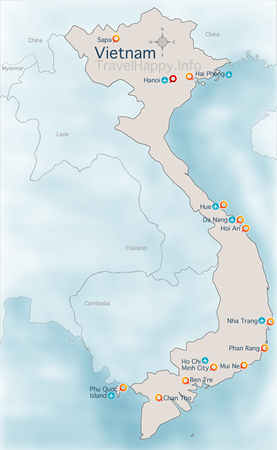 Check Skyscanner to compare airlines for the best prices and flight times to Hanoi. The easiest way to travel to Sapa is by train. Trains depart from Hanoi to Lao Cai Station, which is the closest station to Sapa. Once you arrive in Lao Cai, you’ll need to take a minibus from the station onward to Sapa, which costs approximately 50,000 dong per person. 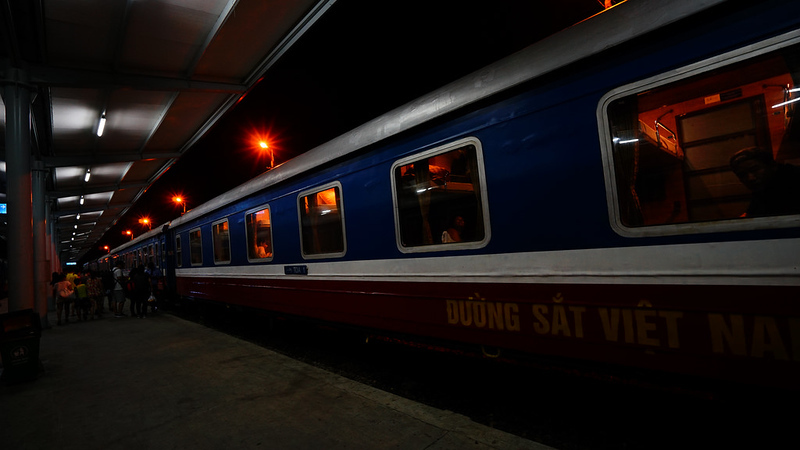 There are several different trains that run from Hanoi to Lao Cai, most of which travel through the night and arrive at Lao Cai early in the morning. To avoid wasting time, you’ll want to book an express train, which avoids all stops except for important stations for a faster journey. Trains to and from Lao Cai are operated by both Vietnam Railways and several private travel companies. All of the services run on the same trains, with private companies operating cars pulled by the same engine. Some of the companies that run cars travelling to and from Sapa include Tulico, Pumpkin and Orient. The Orient Express, which offers private cabins for couples and families, is one of the more popular options with Western travellers. When it comes to booking train tickets to Sapa, the best option is to contact Vietnam Railways or book by yourself at the train station in Hanoi. Many Hanoi travel agencies will market cheap tickets to Sapa, only to provide low quality hard seats instead of the soft bed you paid for. An alternative way to travel to Sapa is by bus. Buses run throughout the night from Hanoi to the central bus station in Sapa, meaning you can avoid the transfer to a minivan you’ll need to make if you travel by train. Sleeper buses from Hanoi cost 250,000 to 350,000 dong per person, depending on the travel agency or tour operator you choose. It’s also possible to book tickets on the Sapa Express Bus, which leaves from Hanoi at 7am daily and takes six hours to reach Sapa. Tickets for the Express Bus cost $11 per person if booked directly or $15 to $16 person from most Hanoi travel agencies.